This is the biggest release of new games we have ever done. There are 43 new games and 7 classics just waiting for your youth groups to play. That’s 50 Games for $50, a savings of over $100. It’s one game for every week of the year! Grab this bundle and you could have your entire 2017 planned before New Year’s Eve! 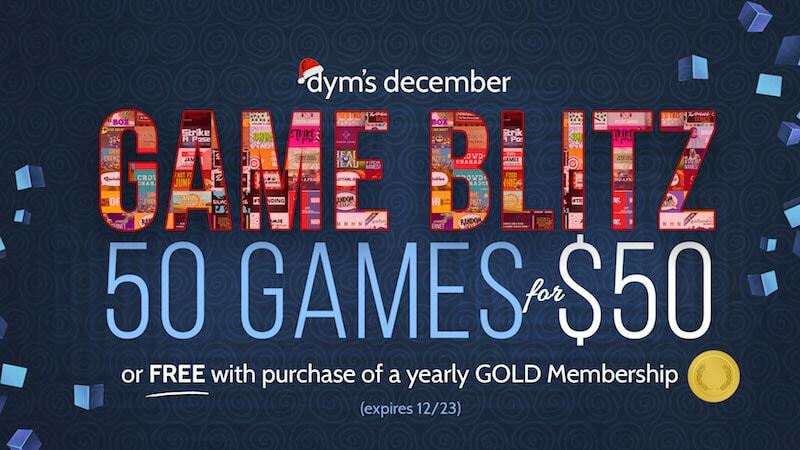 GET IT FOR FREE by becoming a DYM Gold YEARLY Member right now! What are you waiting for? Go HERE now. In addition to the awesome welcome email you’ll get another with the special link to download your bundle. Hurry, this offer expires 12/23/16. Check your subtitles… don’t think you meant it to say that!